Facebook CEO Mark Zuckerberg plans to use drones and lasers to improve Internet access in other parts of the world. Zuckerberg said that Facebook's Connectivity Lab has been experimenting with drones and lasers to beam Internet access to barren areas of the world, part of his Internet.org initiative, which he said last week has connected an additional three million people to the Web in the Philippines and Paraguay. Facebook intends to fly autonomous, solar-powered drones over areas with dense populations in order to beam Internet access using free-space optical communication, or FSO, which transmits data through infrared laser beams. Areas with lower population density will receive similar beams but from satellites. Facebook sees FSO as a promising technology that potentially allows it to dramatically boost the speed of Internet connections provided by satellites and drones. FSO is an optical communication technology that uses light propagating in free space to wirelessly transmit data for telecommunications or computer networking. Free space means air, outer space, a vacuum, or something similar. "In our effort to connect the whole world with Internet.org, we've been working on ways to beam Internet to people from the sky," Zuckerberg said. Facebook said the team's approach is based on the principle that different sized communities need different solutions and they are already working on new delivery platforms--including planes and satellites--to provide connectivity for communities with different population densities. The Connectivity Lab is using its acquisition of Acsenta, a small aerospace company based in Britain, to use new techniques to increase Internet access in remote areas. 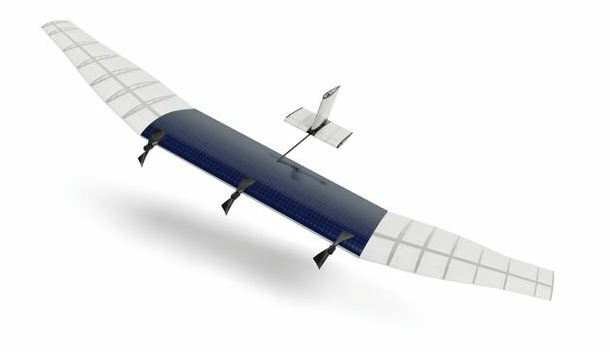 Acsenta built a record-breaking solar-powered drone named Zephyr.